The Western Illinois University Center for Performing Arts supports the academic mission and programs in the WIU College of Fine Arts and Communication, as well as serves as a cultural and performing arts destination for the campus community, the city of Macomb and the entire region. The Center for Performing Arts is the first Macomb campus building constructed with public funds in nearly 40 years. 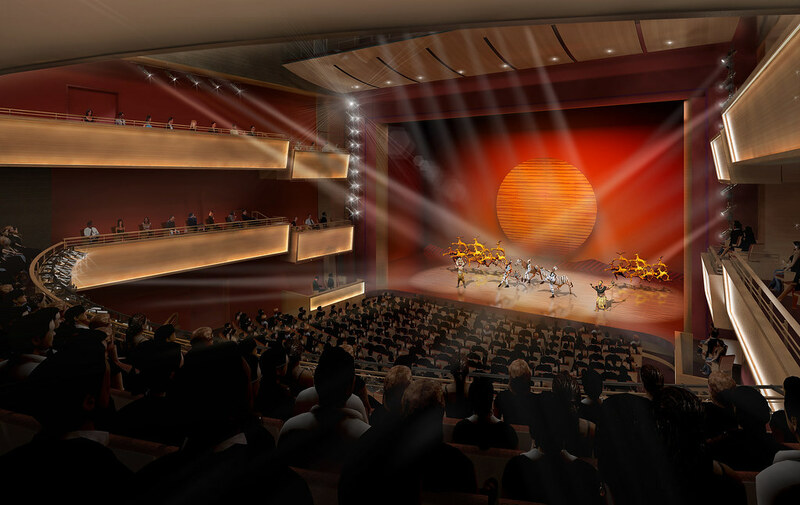 The 130,000-square foot Center for Performing Arts includes a 1,400-seat proscenium theatre auditorium with two balconies, a 250-seat thrust theatre and a 150-seat studio theatre. 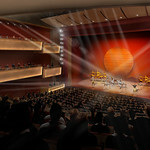 The facility also houses theatre, dance and jazz rehearsal studios to fulfill the academic mission of the building. This theatre serves as the premier performing arts facility, on campus and in the region, for live theatre performances and major music performances. It replaces WIU’s Western Hall as the theatre and music venue for most touring acts. 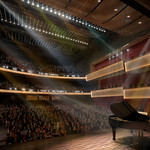 The theatre features a modern theatre fly-loft and backstage area, superior sound and lighting systems, an acoustic orchestra shell, climate-controlled piano storage and a large loading dock to allow the Center for Performing Arts to accommodate the often complex requirements of touring performances. The thrust theatre and the studio theatre provide smaller, more intimate venues. The thrust theatre features fixed floor seating and a small balcony with views of three sides of the stage. It replaces a similar facility in Horrabin Hall. The thrust theatre contains a backstage area and a technical control booth found in modern thrust theatres. The studio theatre provides an extremely versatile rehearsal and performance space with flexible seating options that may be easily configured to facilitate dynamic performance requirements. The studio threatre replaces a similar studio in Simpkins Hall. 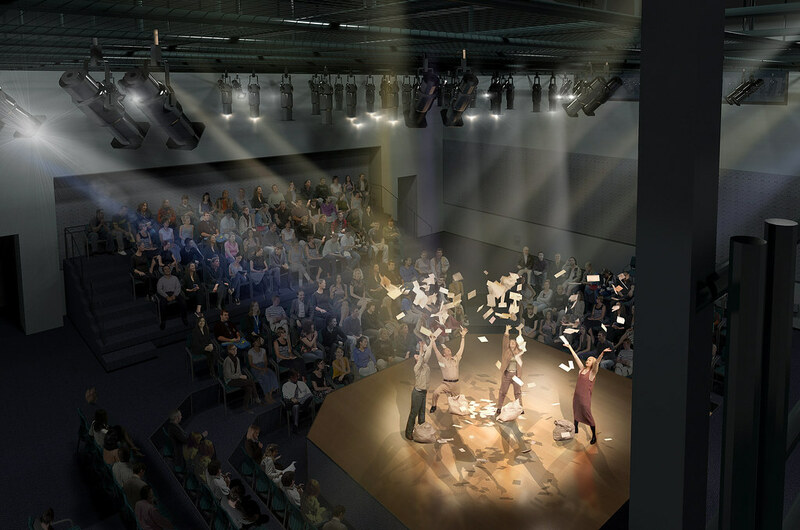 The Center for Performing Arts includes multiple-use spaces, such as the lobby/gallery and a VIP room, as well as two dance studios, a jazz rehearsal room and two theatre rehearsal rooms that serve those respective academic disciplines. The Center for Performing Arts box office serves the ticketing needs of the campus and community and features ticket sales for all campus events. Dressing rooms adjacent to the theatres, a scenery/ design workshop, a costume shop and Center for Performing Arts administrative offices are located in the new facility. 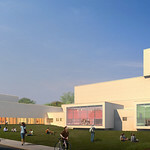 The deans’ offices of the College of Fine Arts and Communication are relocating to the Center for Performing Arts, allowing the Department of Theatre and Dance to expand in Browne Hall. The Center for Performing Arts occupies a major footprint in the southwest portion of campus along Western Avenue, between Browne Hall and the Corbin/Olson complex. 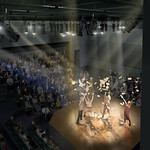 The Center for Performing Arts connects to Browne Hall and consolidates performance spaces close to instructional areas in Browne, Sallee and Simpkins Halls. 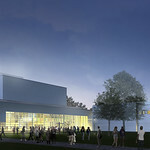 Upon completion, the Center for Performing Arts will represent the focal point of a large and dynamic arts and communication campus quad—a unique and distinguishing feature for a regional university. 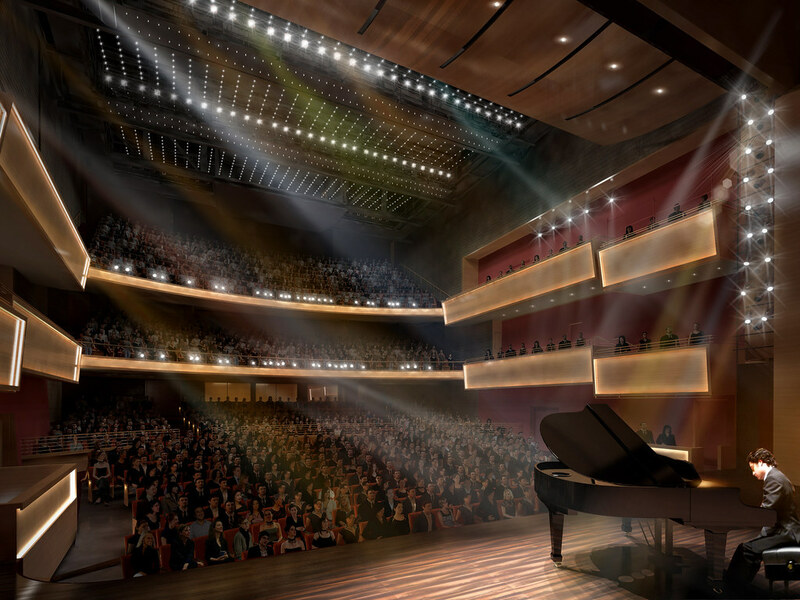 The Center for Performing Arts includes several commemorative-naming opportunities for the three performance venues, rehearsal spaces, the gallery, scene shop, lounges, VIP room and green rooms. Naming opportunities range from $50,000 to $7.5 million. Patrons may also purchase commemorative naming rights to seats located in the proscenium and the thrust theatres. Seats in the proscenium theatre range in price from $500 to $1,000 per seat. Seats in the thrust theatre range in price from $250 to $500 per seat. Discounts are available for multiple seat purchases. A commemorative plaque will designate each named seat. This project has been temporarily suspended. In light of this fiscal uncertainty, the Capital Development Board has announced all work being performed under Capital Projects to stop. For more information, visit www.illinois.gov/cdb/announcements/2015/Pages/Capital-Development-Board-Announcement.aspx.